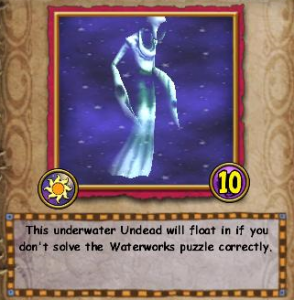 The Swimming Specter is a minion located in the depths of the Waterworks dungeon in Wizard City. “What’s so special about it?”, you might ask me. It’s a regular minion like many others, but it just happened to catch my attention; below, I will discuss why. The Swimming Specter is only fought if you fail the clams puzzle in the second wing of the dungeon. Take a look at the image above and it will probably ring a bell. If you fail this puzzle you will face 4 Swimming Specters – Rank 10 Sun Elites with 2,510HP each. Additionally, this is a creature you can extract animus from with Monstrology by using Extract Undead. People often ask me, “What do you recommend as a healer monstrology minion?”. To be honest, this question makes me wonder deeply, as sadly there is no perfect response to it. However, I did some digging and happened to run into the not-so-famous Swimming Specter. This doesn’t mean it’s the ultimate healer or anything of that sort, but it caught my eye for a number of factors. Unique Sun School creature – It covers multiple schools, which means it has a wide variety of spells at its disposal. Easy to obtain – It just requires one to go through two extra minion battles in Waterworks to get to the specters. At high levels it is easy to farm it and collect its animus which you can then use to create the TC and transfer it to any wizard. It can heal – It knows Dryad and Regenerate, and uses them regularly. You can help others farm Waterworks while farming for animus. Has access to Sun School spells including Solar Blade, Trap and Shield which means more stack-able blades for your wizards. 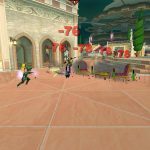 Extremely fast to collect Animus with Triple Animus Elixir combined with Double Monstrology event. Here are the spells we observed when dueling or summoning the Swimming Specter in battle. 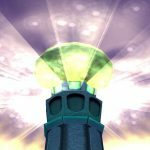 Pay strong attention to the Solar Spells; these spells aren’t trainable for wizards, so this is a unique way to get a chance at using them in battle. While the Swimming Specter has its perks, it also has its disadvantages. Here are the ones I observed through testing that are the most annoying and will affect your combat. It may be a Sun School creature, but it doesn’t have any of the school masteries including Storm, Life and Myth. This means that power pips are not used. However, this didn’t seem to stop it from doing some serious damage! It likes to pass quite often. Its main attacks are Storm school. Consequently, its spells fizzle – a lot. Despite the above factors, I still recommend this creature to aid your wizards in questing through lower level worlds. It isn’t as practical to use in higher level worlds due to the 2,510 health limitation, but it will do the job! What do you think about the Swimming Specter?